An education based even was hosted by Apple, last month. The event emphasized on how the company will try to change the decaying American education system. Phill Schiller took the stage to kick-start the education event by emphasizing that USA wasn't a leader when it came to global education. He didn't forget to mention that the iPad had been the most desired gadget amongst the teens. Phill also mentioned about iPad's contribution in helping students study. iBooks, Apple's book-reading app for the iPad now features some really interactive content from popular textbook publishers. These are books specifically designed for the iPad. They are interactive, more colorful and much less boring than the books you might be reading today. And They have the same quality of content. One such book is E.O. Wilson's Life on Earth. Its a biology text book which is fully loaded with interactive content. You can pinch inside a human cell, interactively study the parts of an insect, get video lessons, visit interactive image galleries related to the topic, test yourself and get an interactive feedback there and then. Apple has redefined how a book looks like. While these books may be great when it comes to 'reading the content' but when it comes to the books which concentrate less on the reading material and more on providing extra questions, the interactive way of learning faces a challenge. When you add more questions and less of content, you ultimately end up compromising the interactivity of the book. Which is something you won't want because the selling point of these books is interactivity, followed by other supplementary factors. The interactive iBooks also have a task of luring the kids into studies, while this may convert a few students and make them study 'more' but not many will 'start' studying just because their new books are on a touch-screen device, have a video or are interactive. Moreover to such kids, the iPad might prove to be more of a distraction than a learning ground. This is something perhaps no-one can change and technology's intervention doesn't help. * iBooks 2 is a free update from Apple's App Store. This is a tool for the publishers. 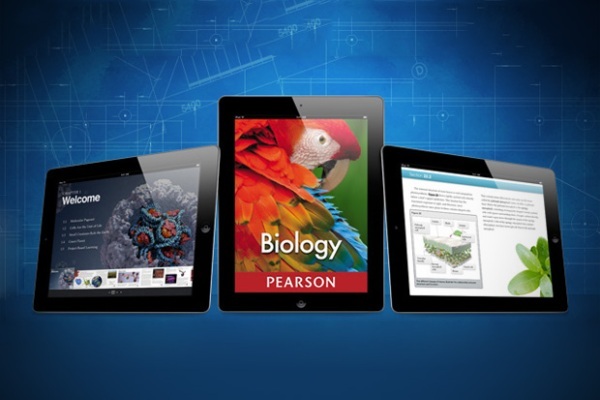 The iBooks Author lets you create interactive textbooks and test them on your device. It provides the Author with an opportunity to put content or add interactive media. This can be in the form of an interactive HTML5 widget, a 3D figure, a video or even a simple quiz. Publishers have a choice on what they can put. iBooks Author is just like Instant food. It can create a new book in a matter of minutes. All you need is, the content to fit in and a suitable collection of pictures and video. iBooks Author manages almost everything. Also you can test your book on your iPad before publishing it to the iBookstore. Authors can choose their own price. However, iBooks Author has a large scope of improvement. Not only do authors have limited control to how their book can look, many of the services are only linked to Apple's ecosystem. For Example if you wish to add an HTML5 widget you just can't embed an HTML file. You will need to create a widget using Apple's proprietary dashcode and then embed it into the iBook. There is also little modification you can do with a set template. You don't have much say when it comes to changing the look and feel of the book. This might lead to a set pattern of stenciled textbooks on the iPad, in the future. Apple Likes having a full control in all its products and iBooks Author is no exception. Its dead closed and all you can do is, play around with the Apple software. Its like a Garden with many swings, but it is closed on all sides. No where to escape. No room to expand. On the whole the iBooks Author is a good desktop publishing tool but there is a lot left to desire over here. iTunes U has enjoyed a good 4 and a half years of existence. It has been helpful to all kind of students and provides a good variety of courses from the world's best universities. Apple decides to expand it now, with an iOS App. 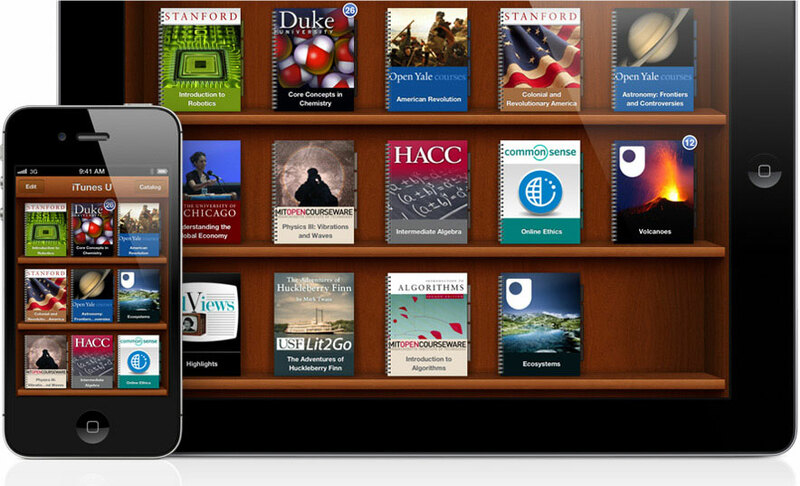 The new iTunes U iOS App features courses. What are courses? Well, Courses are just like the courses you might attend at your college. They involve Video Lectures, Mini Quizzes, Assignments, Study Material and Tests. They are a digital replica of a college course. Not only does iTunes U help you get all the content, It also helps you maintain notes, and allows you to search through the study material and keep a track of your tests. The iTunes U App is a nice addition. It is also the most effective way of learning and grasping content amongst the three announced by Apple. The App has a good, clean and sensible UI which allows the users to concentrate on studying and lets them build a good understanding of whatever they are learning. Also the Tests, Quizzes and Assignments are very helpful. While Apple may like to portray how revolutionary these new iBooks and this Digital Content is, It remains to be seen how well it performs. The Book business might turn out to be as good as the iTunes Music Store or might end up being one of the few failures Apple has faced in the past decade. Completely changing a country's education system is a big task, This is just a small step in one direction. Only time will tell if it is the right direction. Sometime back, Intel introduced this term called 'Ultrabook'. It defines it as 'a higher-end type of subnotebook'. The definition itself is so complex, that you can imagine what kind of weirdly boiled mockery the Ultrabooks will turn out to be. The CES this year was paraded by Ultrabooks from Asus, Acer, HP, Dell, Lenovo. Almost every computer manufacture wants to wet its hands in the supposed Ultrabook Revolution. Two give you a clearer picture of what an ultrabook looks like Here are a few details about this 'Revolutionary' product that comes once in a while: The Ultrabooks are thin, lightweight, come in Unibody Enclosures and with limited ports. They also have a long-battery life. And almost all of them use 'Flash Based SSDs'. The display size is 11.6" to 13.3" or 14" at most. None of them features a CD-DRIVE. Looks familiar? Isn't it? 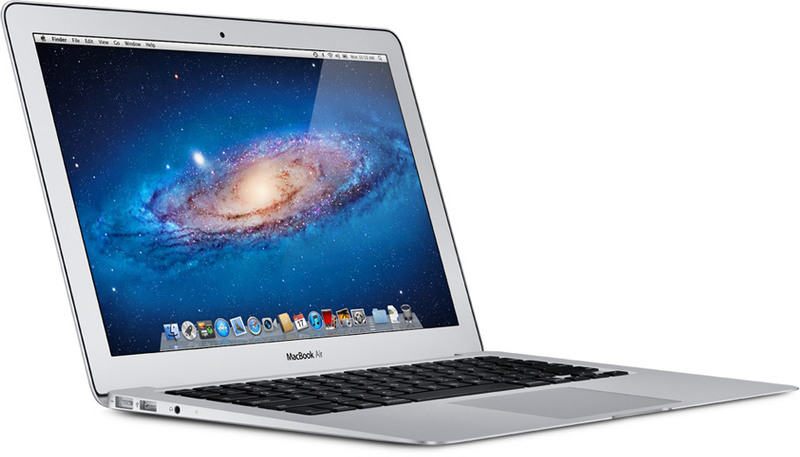 Its the MacBook Air that was launched in 2010. The Ultrabook thing came in mid-2011. The Ultrabooks not only shamelessly rip off the design of a macbook air. They also boast of similar specifications. Many people right now will be planning to press that 'x' button on their devices, since they fear this is going to go the fan boy way. As a matter of fact it is not. It is for the truth that I write this post. Write from the design ergonomics to the keyboard color. Everything is being cloned in the name of Ultrabook. The only thin wall between an ultrabook and a macbook air is the CULV processor by Intel. The MacBook Air has the same processor as that in their MacBook Pro. CULV (Consumer Ultra-Low Voltage) is a low power Intel Processor with Integrated Graphics. It is designed specifically for the Ultrabooks platform. Intel plans to release these low-voltage processors in three phases. (For their three micro-architectures). Hence, dividing the Ultrabook launch in three phases also. The first phase is going to be ruled by the Sandy Bridge. Second will have Ivy Bridge and the third will have Haswell. When you 'know' that Intel has Ivy Bridge and Haswell in works, which are better processors based on relatively newer technology (one of them is that of 3D Tri Gate Transistors), then why will you settle for a Sandy Bridge Processor which looks like Yesterday's discarded waste when compared to the glorious tomorrow Intel Promises. Having said all that about the Ultraclones, I will like to add that not all is so-clone like about the Ultrabook genre. 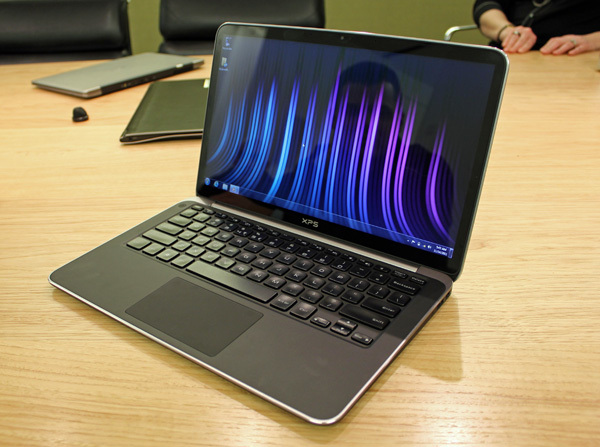 While 'most' of the ultrabooks may look like Chinese fakes of the macbook air. There are a few that are promising and aren't that abominable. Lets get back to CES to see whether the Ultrabooks have something 'different' to offer than the image of an Ultraclone. At CES 2012: There wasn't any interesting news this time. Motorola and Intel got into a deal, Android revealed 'design standards for Ice Cream Sandwich', Qualcomm rolled out a new Snapdragon processor and Corning came out with Gorilla Glass 2. And Then there were Ultrabooks, more Ultrabooks, and an almost uncontrollable flood of them. Most of them were clones, and are not even worthy of being covered in this post, but some of them were notable and deserve a little mention. According to Joanna Stern of The Verge, The HP Envy Spectre, XPS 13 and Lenovo Yoga were the best Ultrabooks at this year's CES. Lets start with HP's Spectre. Its a comparatively thicker solution to the Ultrabook. and that's probably because of the Gorilla Glass it sports. So while the Gorilla Glass is a neat-trick, those obsessed with extremely slim solutions for a laptop won't be very happy about it. It does have a good display and does sport the high-end ultrabook specs, which include a 128GB mSATA SSD, and 4GB of RAM with a Core i5 CULV processor and NFC capabilities. The only thing that HP seems to have copied from Apple's Macbook is the the color scheme. The black-keyboard on on a grey body. HP's Spectre is better than the rest of Ultrabooks and is priced at $13,999. XPS13 by Dell is Dell's first dive into the Ultrabook market. When closed, the XPS13 can easily be mistaken to be a chinese clone of the Macbook Air. However it has a completely different feel to it when opened. The Interiors are all black. The Specifications of the laptop are also good. They are nearly the same as that of Spectre except the XPS has a Core i3 CULV processor and a lesser screen-resolution of 1366X768. XPS13 also has the gorilla glass. No NFC over here though. The laptop is priced at $999. XPS13 is good but I won't seriously consider buying it, when i can get better at $999. The last one on this list is Lenovo Yoga. It was the most uniquely designed ultrabook at CES and it has nothing similar to the MacBook Air in terms of design. The laptop turn into a touch screen tablet, and runs Windows 8. I am not sure if this qualifies an ultrabook (We still don't know if it has that CULV processor or whether a laptop needs CULV to be officially called an ultrabook*) but it has most of the qualities of an ultrabook. It has a Flash SSD, a large 'quoted' battery life, it is thin and its ultraportable. The hinge-design of which i am not a fan of, is a neatly done, but 'Yoga' might just prove to be very bulky to play the role of a Tablet. Also, the hinge may not be very comfortable for both Laptop and Tablet users. 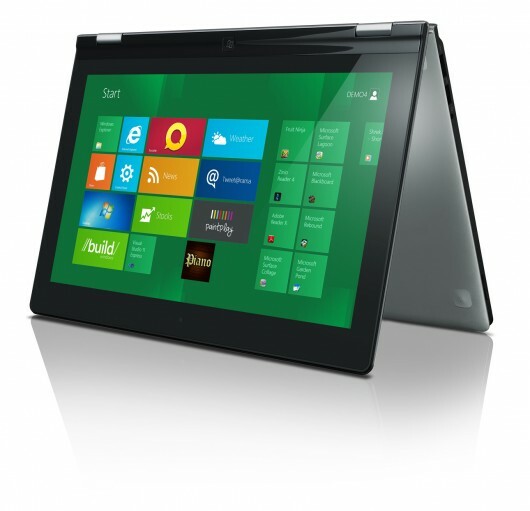 The Lenovo Yoga (An Ideapad) will hit the stores only after Windows 8 makes a debut. While the Ultrabook platform is flooded with clones, there are a few which do stand-out and perform better than others. However, Even they sport similar designs and uninspired technology. So Ultrabook is largely an exaggerated and mass cloned platform. The herd might just survive, or may turn out to be Netbooks 2.0. doomed to die. * Ultrabook is a trademark owned by Intel and this post has no-intention of demeaning the sales of the Ultrabooks.